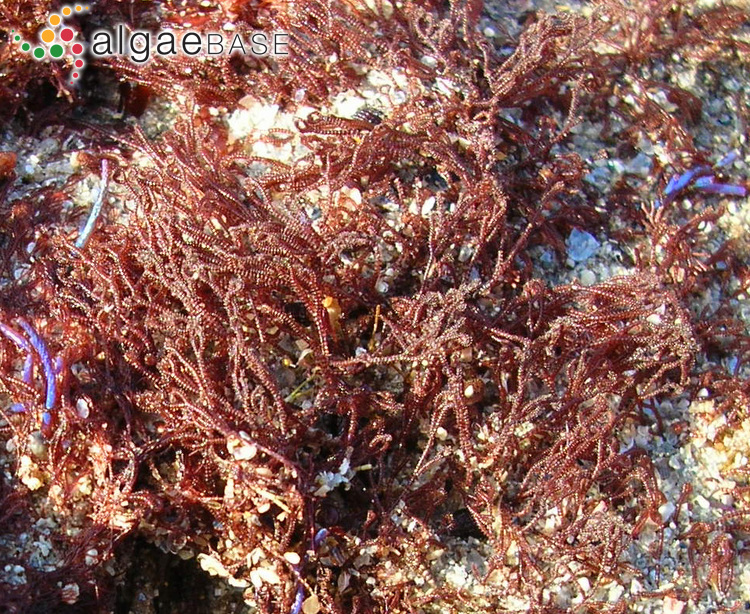 Ceramium ciliatum, lower intertidal, South of Spain, 2011, Ignacio BÃ¡rbara" . Ignacio Bárbara. © Ignacio Bárbara (barbara@udc.es). 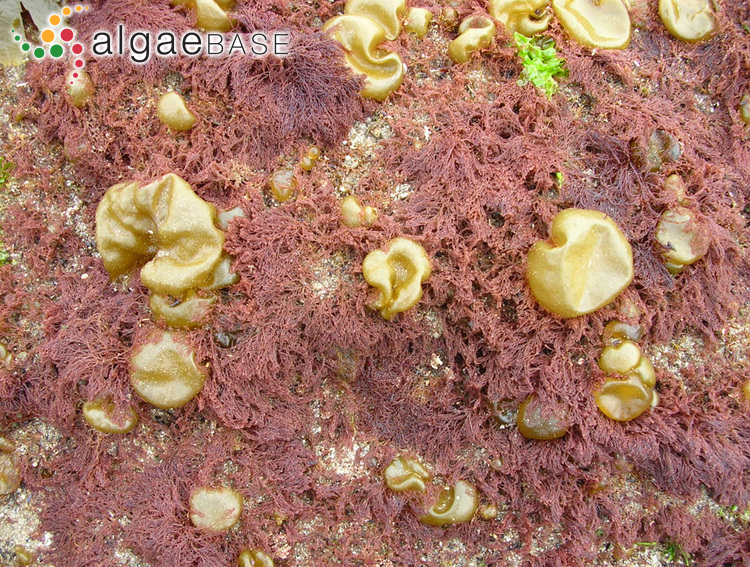 Ceramium ciliatum, lower intertidal, RÃ­a de CamariÃ±as, Galicia, Spain, 2005, Ignacio BÃ¡rbara. Ignacio Bárbara. © Ignacio Bárbara (barbara@udc.es). 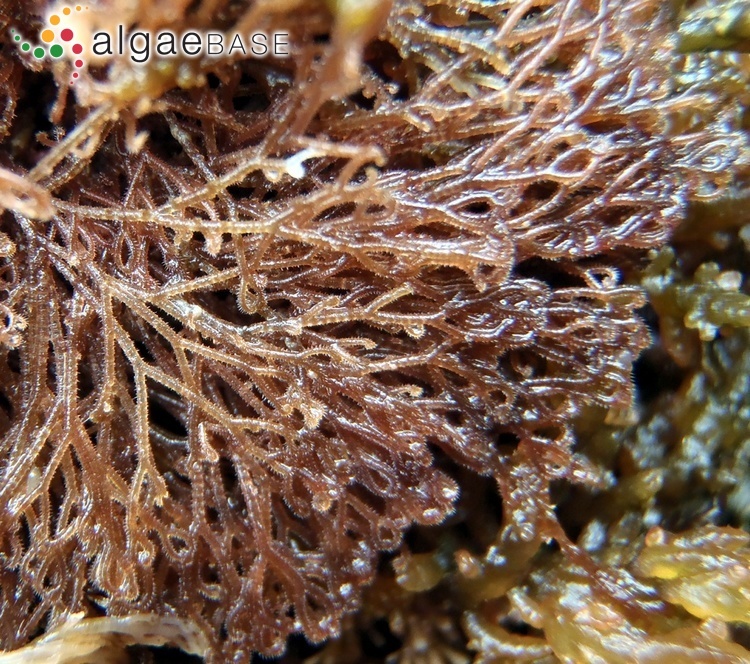 Ceramium ciliatum, lower intertidal, RÃ­a de A CoruÃ±a, Galicia, Spain, 2013, Ignacio BÃ¡rbara" . Ignacio Bárbara. © Ignacio Bárbara (barbara@udc.es). microscope, North of Galicia, Spain, 2005. Ignacio Bárbara. © Ignacio Bárbara (barbara@udc.es). 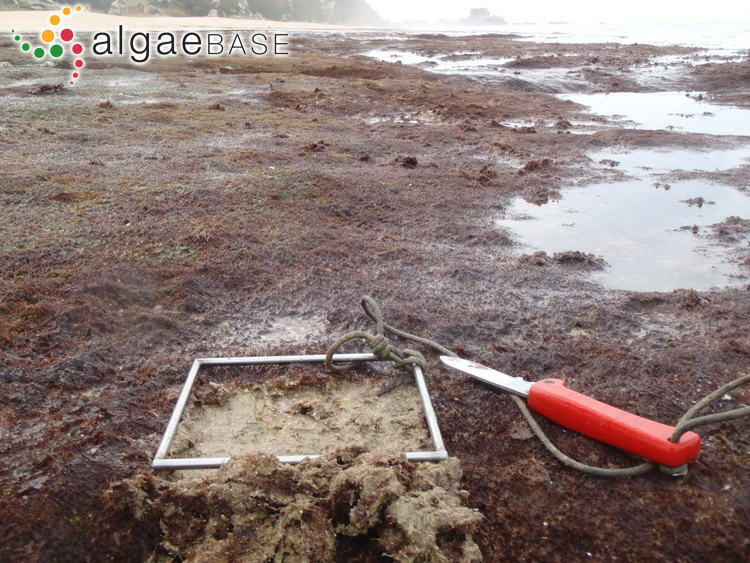 middle intertidal with Colpomenia peregrina, North of Galicia, Spain, 2005. Ignacio Bárbara. © Ignacio Bárbara (barbara@udc.es). lower intertidal, South Spain, 2010. Ignacio Bárbara. © Ignacio Bárbara (barbara@udc.es). 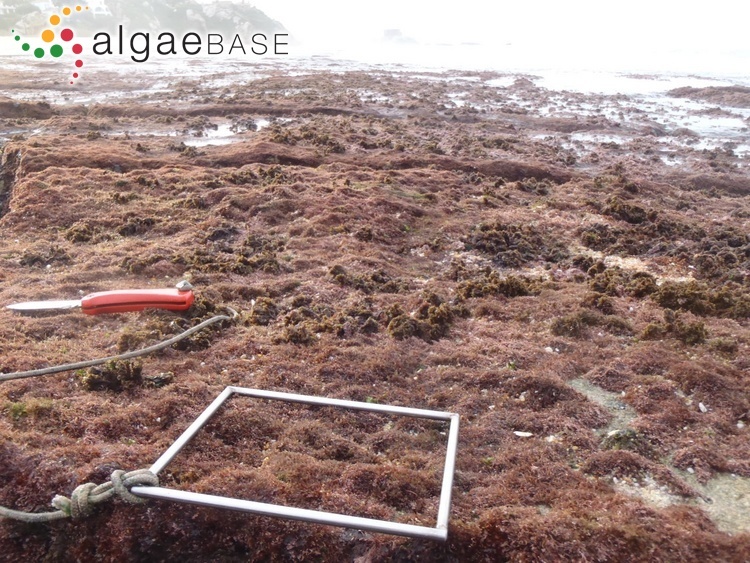 middle intertidal, North of Galicia, Spain, 2005. Ignacio Bárbara. © Ignacio Bárbara (barbara@udc.es). middle intertidal, Ría de A Coruña, Galicia, Spain, 2005. Ignacio Bárbara. © Ignacio Bárbara (barbara@udc.es). Published in: Ducluzeau, J.A.P. (1805). 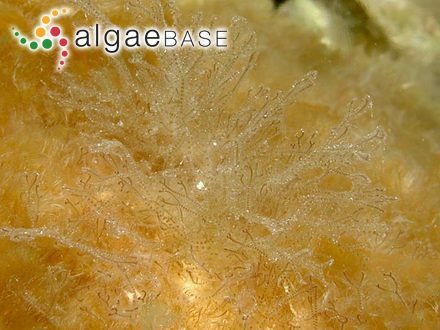 Essai sur l'histoire naturelle des Conferves des environs de Montpellier Par. J.A.P. Ducluzeau, de Montagrier, Départment de la Dordogne pour obtenir le grade de Docteur en Médicine. pp. [i]-89, [90, err. ; 91, note; 92, presentation]. Montpellier: De l'Imprimierie d'Auguste Ricard, Rue Arc d'Arènes, Maison Plagniol, N.o 9. 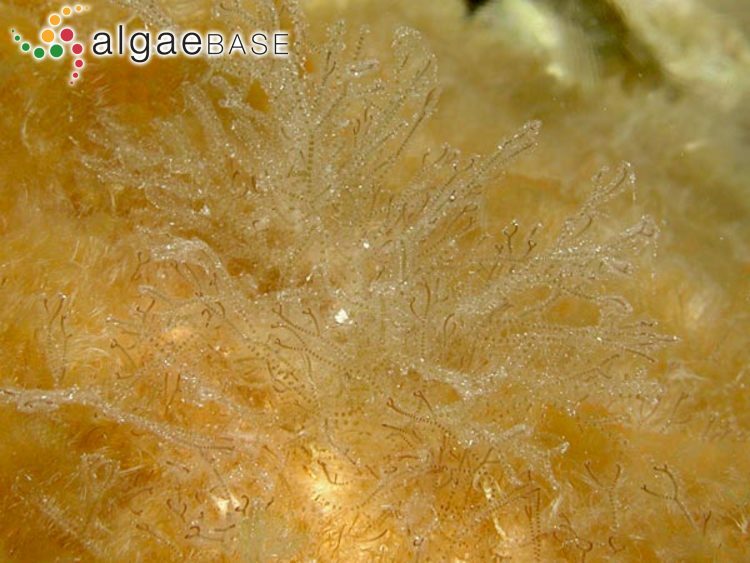 Type locality: Sussex, England (Silva 1996-to date). Type: Ellis and Ehret; 1754; (Silva 1996-to date Notes: Maggs & Hommersand (1993: 47) give the following data: Lectotype: Ellis (1768), pl. 18, fig. H; unlocalized (?England). John et al. (2004) cite Ceramium ciliatum var. 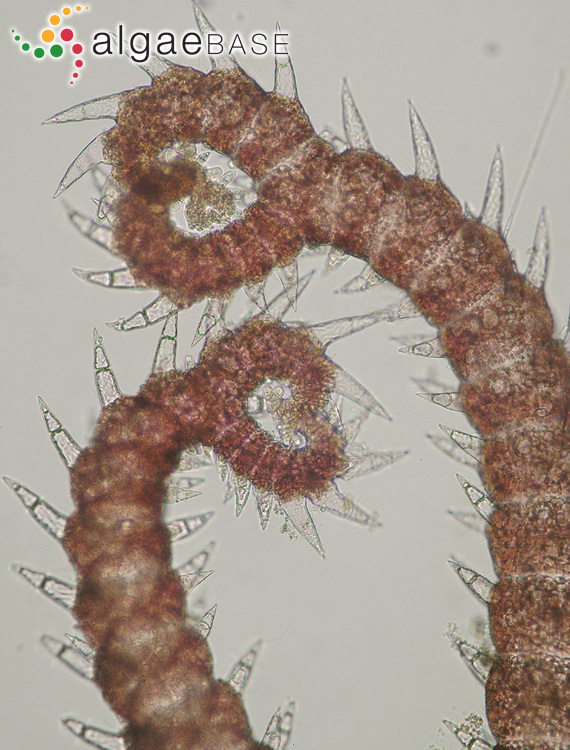 robustum (J. Agardh) Feldm. Maz. as a synonym of this species. 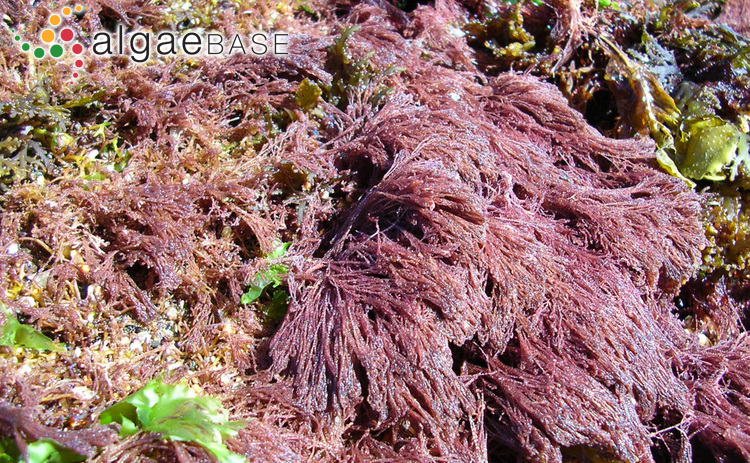 Found growing on Corallina (Nakamura 1965). 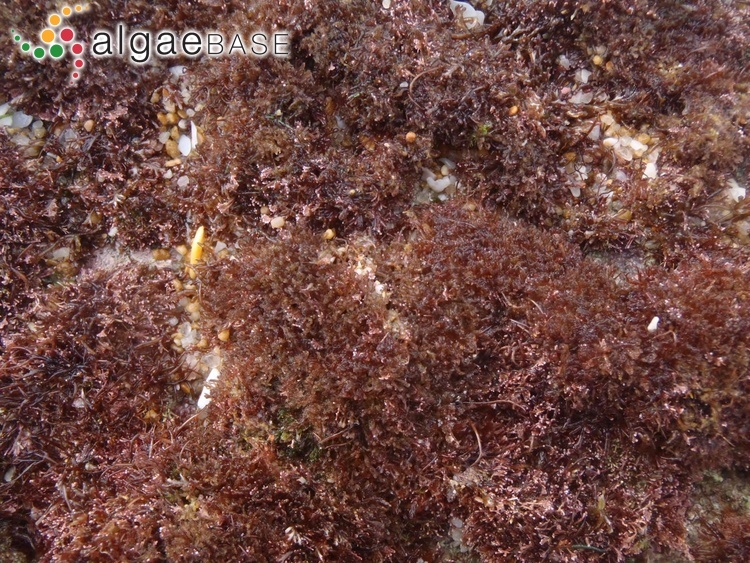 Epilithic on bedrock, epiphytic on various algae and occasionally epizoic on limpets, in pools and damp places in the mid- to lower intertidal and subtidal to 10 m depth, often on mobile substrata such as maerl, at extremely sheltered to moderately wave-exposed sites sometimes with exposure to strong tidal currents (Maggs & Hommersand 1993:49). Accesses: This record has been accessed by users 11050 times since it was created. Diannelidis, B.E. & Delivopoulos, S.G. (1997). 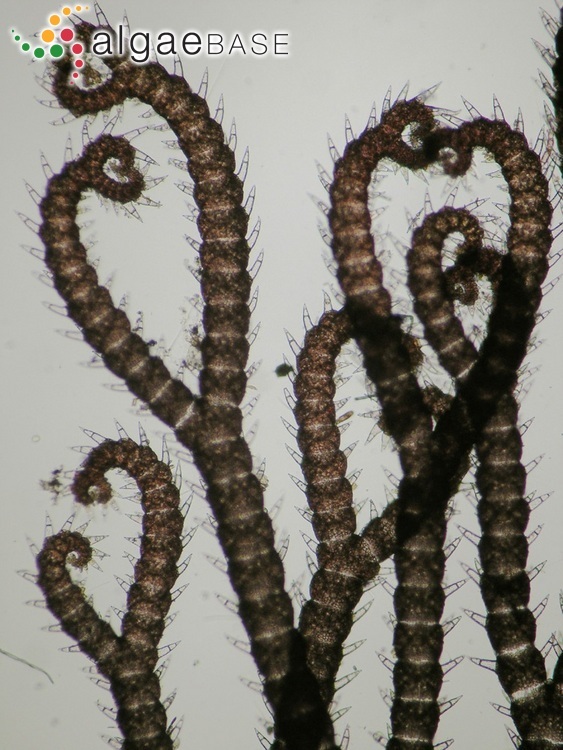 The effects of zinc, copper and cadmium on the fine structure of Ceramium ciliatum (Rhodophyceae, Ceramiales). Mar. Env. Res. 44(2): 127-134, 9 figs.